Think Whack-a-mole with a bit of ninja slicing action and quests. Experience 50 levels of some tappin' and swippin' action! Duende! 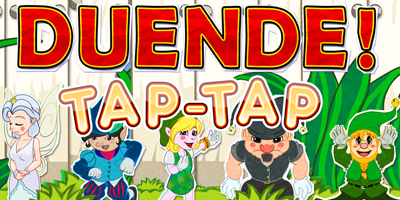 Tap-Tap is a casualized, lighter version of the arcade-puzzle game Duende! Gnomes have been stealing from your farm, and you must stop them! Together with your goblin friends, fend off the pesky thieving gnomes and protect your farm at all cost. Description: Duende! is a game that will test your reaction time and quick thinking. Catch the little creatures (a.k.a Duendes) by simply touching them. Catch them in preset patterns to perform combos and boost your score. Chain combos for the ultimate boost! Play through 50 levels of arcade mode, completing tasks such as keeping yourself alive, making "4 of a Kind" combos, or even finding mystery items. You can also compete with other players by playing in Survival Mode and take the top spot on our online leaderboards! Description: Get your fingers ready for some tappin' and swipin' action! Duende! Tap-Tap builds upon the game play of Whack-a-Mole, added a bit of ninja slicing action, combos, and chains to bring you frantic action-packed entertainment, while wrapped up in a cute and charming package. Simply touch duendes that appear to catch them. Swipe away the projectiles they throw at you in order to survive. The goal is to beat the highest score! Perform combos by catching the duendes in preset order and get bonus points. Chain your combos for the ultimate boost in points! 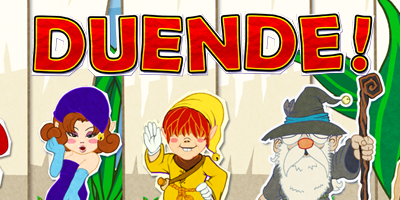 To top it all off, Duende! Tap-Tap is FREE to download and play! Description: You play as experiment BZ-1538 a.k.a “Goggles” and you are on the run from Dr.Zoo’s poachers. Jump from one platform and be sure to land safely on the next platform. But, wait! That’s not it! In your journey, you will face multiple obstacles such as spikes, poachers and other creatures who would love to end your quest early. 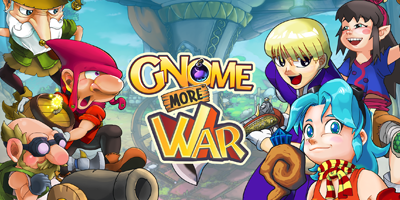 Description: Gnomes have been stealing from your farm, and you must stop them! Together with your goblin friends, fend off the pesky thieving gnomes and protect your farm at all cost. Experience the classic arcade castle defense game play with loads of twists. You have an arsenal of power-ups at your disposal, and a selection of 30+ upgrades to choose from. This is war!